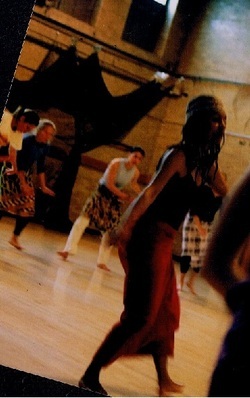 Descriptions of various Wyoma’s dance classes around Boston and beyond. 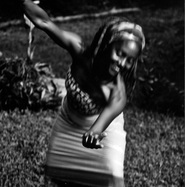 Wyoma is a master dancer and instructor of African traditional dance. In this class, you will learn a beautiful culture while gaining strength, stamina, isolation articulation, and rhythmic precision. "If you can walk you can dance, if you can talk you can sing"
This wonderful Zimbabwean proverb expresses her unique style of teaching African, Caribbean, Brazilian, and Improvisational dance and movement. She shares dances learned from her travels in west, east, and southern Africa, where the movements of nature, of animals, and everyday activities, summon energy into the body for connection and healing. Wyoma supports the journey of whole body integration, providing a supportive, confident atmosphere. With this practice who knows, you may start to move your entire body with Passion and increase your Joy Factor 1,000-fold!!! Funky Fusion of African World & Pop Dance and Music! Energizing Dynamic flow. In this collaborative workshop by Wyoma and Dr. Paul Epstein, participants experience the mind-body-spirit connection to access the healer within through guided imagery, mindfulness meditation, traditional African dance, and creative movement. This 6-week program is designed to provide a powerful and fun experience in African dance and culture. The dances taught are from West, East, or South Africa, the Caribbean and Brazil. The program includes a variety of indigenous experiences, including dancing, drumming, drum-making, chanting, games, storytelling, crafts, mural design, attire, and bantaaba. A Bantaaba is a time and place for meeting, sharing ideas and celebrating. It includes interactive audience participation. We offer Bantaaba when requested as the children's informal Ending Presentation. Ngoma Watoto provides a dynamic learning experience integrating varying emotional intelligences where children gain confidence in their abilities as they learn from teachers and peers. Residencies and workshops are offered in a wide range of context to educators, students, and community groups. The length of residency can be tailored to the particular needs of the school or organization. Special themes can also be integrated, such as "Healthy Kids". Healthy Kids integrates nutrition, yoga, and other healing arts within the program.